IMU Recruitment 2019 - Walk in for Faculty Posts in IMU, Kolkata, West Bengal on Contract Basis. 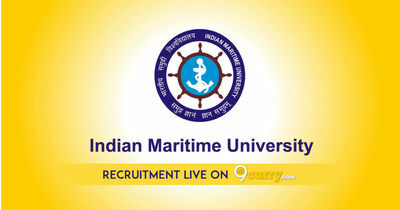 Candidates are invited by Indian Maritime University (IMU) to attend walk-in-interview to be held on 27 Feb 2019 10:00 AM for 4 vacancies. 4 Good academic record with at least 55% marks or an equivalent grade at both U G and PG level or at Integrated PG level in a relevant engineering discipline.